Capsules Wan Chuk Mod Look designed for women with irregular menstrual periods. The drug restores and tightens the uterus after childbirth. 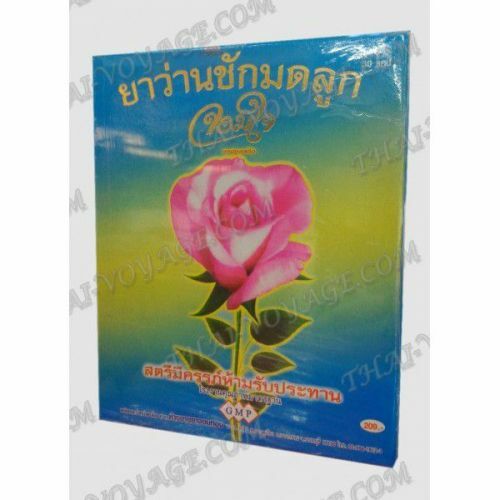 Assists in restoring regular menses, relieves spasms and rejuvenates the skin. The product has a GMP quality certificate. Registration number G428 / 46. Usage: 1-2 capsules 2 times a day after breakfast and dinner. The package of 30 capsules. Composition of the product Treekrok; Phang; Chinese Ginseng; Korea Ginseng; Honey.